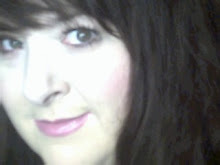 Greek Goddess of Men's Facial Hair™: Dani: Greek Goddess of Men's Facial Hair™ BLOG Begins! Dani: Greek Goddess of Men's Facial Hair™ BLOG Begins! Yes, Babes and Babettes, the moment has arrived: Dani, Greek Goddess of Men's Facial Hair™ now has a BLOG in addition to a website! WELCOME ONE AND ALL! I hope to get a lot of feedback from y'all about the latest men's facial hair news, styles, products, grooming tips, contests, clubs, and more. Check out the website for lots of great info and subscribe to this blog to keep up on all the newest posts. Thanks, and stay tuned!